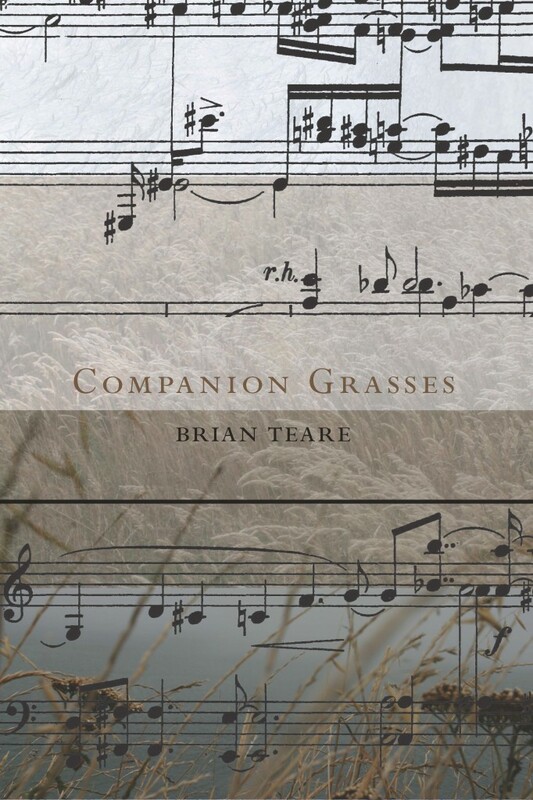 The above is a quote by Brian Teare from an interview with Rusty Morrison, on the origin of his new book of poetry, Companion Grasses, due for release in April 2013 from Omnidawn Publishing. The book was written as meditations inspired by long hikes he took through the rugged terrain of Northern California. In it, he questions one of the most deeply-ingrained ideas in literature about our relationship to nature: that human nature is, paradoxically, unnatural. To get at how deeply this idea of the human being as separated from nature goes, take the book of Genesis, where nature is presented as a harmonious paradise from which our human forebears were ejected because of a hunger for knowledge, into a harsh environment painfully deaf to our hardship. The gist of it is that we were once a part of nature, but aren’t anymore, because we are different from it, primarily through our desire to understand things. Nature then becomes capital-n Nature: both dangerous and indifferent to us, as well as an idealized location or state that we wish we could get back to. Though a beautiful sentiment, Wordsworth is relying on the tacit idea that the move toward industrial-centered culture and cities is inherently un-natural, putting us at odds with a purer condition that is Natural. It isn’t that Wordsworth’s pining for a simpler, agricultural way of life is wrong, or that anyone could argue with the idea that cities are loud and dirty and pollution has a negative impact on the environment… it’s that the underlying idea that human beings are doing this because they are un-Natural that is interesting, and that puts us in a position to shirk our responsibility by believing that we are different. In Companion Grasses, Brian Teare asks similar questions. What is this thing that makes me feel, out here in nature, not of it? Is it our restless minds? But Teare goes a step further, recognizing that what may lie at the heart of that feeling of separation, the fall from Eden, the “otherness” that seems to be reflected in all we do as humans is a result of our basic human method for shaping reality: through language. To name things, to find language to describe what we experience — this is how we make anything outside ourselves real. Perception is only a blank state of being, it’s when we put a name to a thing that we begin to force the separation of self from landscape that makes us recognize ourselves as independent beings: going from something to someone. The need to recognize “other” as aside from “self” is what gives us a personal identity. It also inherently makes us feel alien — especially from a “nature” that neither needs a personal identity nor recognizes ours. But, Teare asks, this tendency to self-reflect, to bifurcate, to abstract — is this really a uniquely human trait? Does it really separate us or alienate us from nature, and is it really an unnatural act? Nature, rather than a personified force, might be better considered, as Teare’s title suggests, a companion, and our relationship with it dictated by recognizing not our differences, but our similarities. Are veins of blood so different from tributaries of rivers? Is the way grass in the wind might blow dark on one side, and flip to silver on the other so different from the way we might turn a dark thought in our heads to see the brighter aspect from another perspective? Brian Teare lived and taught in the Bay area for over a decade. He now lives and teaches in Philadelphia where he runs his own micropress, Albion Books. Companion Grasses is his fifth full-length book of poetry. When not riding her big wheel on Portrero hill or doing the wild stoat dance, LJ Moore captains a pirate ship powered by rubber bands around the San Francisco Bay. Her poetry has appeared in many publications, but her dream is to see it in skywriting over Montana. Check out her new book in progress, set to dubstep and electronica, at ljmoore.wordpress.com.